Though U.S. leaders try to convince the world of their success in fighting al Qaeda, one anonymous member of the U.S. intelligence community would like to inform the public that we are, in fact, losing the war on terror. Further, until U.S. leaders recognize the errant path they have irresponsibly chosen, he says, our enemies will only grow stronger. According to the author, the greatest danger for Americans confronting the Islamist threat is to believe — at the urging of U.S. leaders — that Muslims attack us for what we are and what we think rather than for what we do. Blustering political rhetoric “informs” the public that the Islamists are offended by the Western world’s democratic freedoms, civil liberties, inter-mingling of genders, and separation of church and state. However, although aspects of the modern world may offend conservative Muslims, no Islamist leader has fomented jihad to destroy participatory democracy, for example, the national association of credit unions, or coed universities. Instead, a growing segment of the Islamic world strenuously disapproves of specific U.S. policies and their attendant military, political, and economic implications. Capitalizing on growing anti-U.S. animosity, Osama bin Laden’s genius lies not simply in calling for jihad, but in articulating a consistent and convincing case that Islam is under attack by America. Al Qaeda’s public statements condemn America’s protection of corrupt Muslim regimes, unqualified support for Israel, the occupation of Iraq and Afghanistan, and a further litany of real-world grievances. 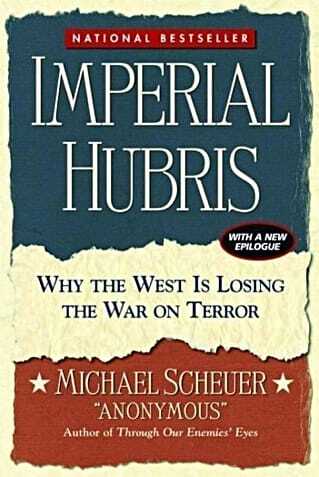 Bin Laden’s supporters thus identify their problem and believe their solution lies in war. Anonymous contends they will go to any length, not to destroy our secular, democratic way of life, but to deter what they view as specific attacks on their lands, their communities, and their religion. Unless U.S. leaders recognize this fact and adjust their policies abroad accordingly, even moderate Muslims will join the bin Laden camp.